Developers of urban mixed-use projects must answer the question of how to distribute complementary land uses throughout a project. Residential, retail, commercial and other uses can reside on a single parcel, or they can exist on separate adjacent parcels in close proximity to each other. Both alternatives must contend with California’s subdivision and condominium laws in order to establish separate ownership interests for purposes of sale and financing. A horizontal mixed-use project is one in which a variety of different uses — residential, retail, office, hospitality, entertainment — are constructed on separate adjacent parcels. Each building has a separate land use and each building can be sold and financed separately because it exists on a separate legal parcel. The project is considered mixed-use because different land uses are established immediately next to each other in a mixed-use district or perhaps in a town center. The subdivision of horizontal projects follows a straightforward procedure, whereby a project applicant files an application for a tentative map for projects consisting of five or more parcels and an application for a parcel map for a project consisting of four or fewer parcels. A vertical mixed use project is one in which the land uses exist on the same lot and in the same building. For example, such a project might have ground floor retail and residential uses on the upper floors. In a more sophisticated example, a developer could have a multi-level, below-ground parking garage, a transit stop on a separate level below ground, a hotel in the first dozen floors of the building above ground, and residential condominiums on the upper floors of the same building. A vertical mixed-use project is routinely more difficult to design, construct, sell, lease and finance. However, developers may choose to develop a vertical mixed-use project because of the physical constraints of the site, land use regulations, private development restrictions or the needs and desires of co-investors. In California, separate ownership of the individual uses within a vertical mixed use project may be established in two ways. Separate legal three-dimensional spaces can be created under California’s Subdivision Map Act (the “Map Act”). Alternatively, “separate interests” can be created under California’s common interest development law, the Davis-Stirling Common Interest Development Act. (“Davis-Stirling”). The Map Act applies to divisions of “land” — and the definition of “land” under California law includes airspace above and three-dimensional spaces below the ground (“Land . . . includes free or occupied space for an indefinite distance upwards as well as downwards, subject to limitations upon the use of airspace imposed, and rights in the use of airspace granted, by law.” Civil Code section 659.) With limited exceptions, the creation of five or more parcels or units, whether above, at or below the ground, requires a tentative map and a final map, while the creation of four or fewer parcels or units requires a parcel map. A two-step process is required for the creation of separate three-dimensional spaces under Davis-Stirling. First, the legal parcel that will be divided into three-dimensional units must be legally created under Map Act. This can be done by a final map or a parcel map. On the approved parcel map or final map, the maximum number of units must be described. In addition, a perpetual estate or an estate for years in the remainder (such as a common area) must be held by the owners of undivided interests in common or by an association, and the duration of the estate in the remainder of the property must be the same as the duration of the estate in the three-dimensional units (often fee simple). This latter requirement can be satisfied by establishing an unincorporated property owners association or by the formation of a separate nonprofit corporation created to comply with the requirements of Davis-Stirling. The second step is to “describe” the three-dimensional units on a condominium plan or plans, pursuant to the requirements and procedures set forth in Davis-Stirling. A condominium’s separate interests and undivided interest in any common area need not include the ground or be physically attached to it except for certain easements for access and support. As a result, the ground can be separated in ownership from the airspace above it, and the airspace can be divided into condominiums. Forming a vertical mixed-use project pursuant to this two-step method is preferred. The first step establishes the boundaries of the lot and the maximum building intensity on the parcel, whether in terms of dwelling units, commercial density, or both. The second step, which often occurs later in time, gives the developer flexibility in siting the buildings and improvements after the subdivision map has been filed. It is not a good idea, however, to simultaneously apply for a Map Act subdivision and condominium plan under Davis-Stirling. If the condominium plan must be amended after approval, amendments may also need to be pursued to the final map or parcel map under the Map Act, which can be time consuming and may require a public hearing. Developers of high profile or controversial projects rarely desire the attention that comes with a public hearing on their project, particularly after it has already been approved. Subterranean parcels can also be tricky. A close read of the Map Act suggests that below ground “parcels” should be created by parcel map or final map, not by condominium plan. Government Code section 66427, which allows for division by condominium plan under Davis-Stirling, refers to “buildings or the manner in which buildings or the airspace above the property shown on the map are to be divided.” Counsel should be consulted before relying on the use of a condominium plan to establish separate ownership and financing of below ground facilities. After the separate ownership interests are created, the next step is to prepare legal documents governing the relationship among the various owners. For example, owners will need reciprocal easements for various purposes, such as ingress, egress, utility access, support, and maintenance. The owners will need to establish mechanisms for use of common areas, and sharing the costs of maintaining, repairing and operating common areas. What’s more, responsibility for future compliance with laws, as well as capital repairs, replacements, and improvements must also be allocated among the various ownership interests. These understandings are typically memorialized in a reciprocal easement agreement (“REA”) or covenants, conditions and restrictions (“CC&Rs”). Creation of separate ownership interests in a vertical, mixed-use project raises many regulatory issues. The Map Act and Davis-Stirling are two of the laws that apply to such subdivisions. Other state laws, local plans and city and county ordinances may also apply. Developers should consult with counsel to determine how to best proceed. 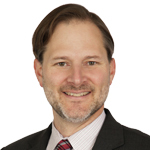 Ken Kecskes is a real estate and land use lawyer based in San Francisco. He advises real estate owners, investors, and developers on matters throughout California. The information, comments and links posted on this blog do not constitute legal advice. No attorney-client relationship has been or will be formed by any communication(s) to, from or with the blog and/or the blogger. For legal advice, contact an attorney actively practicing in your jurisdiction. Do not send any confidential or privileged information to the blogger; the blogger will assume any liability or responsibility for it. If you send any information, documents or materials to the blog, you give permission for the blogger to include them on or in the blog. No information, documents or materials you send to the blog will be considered confidential or privileged. Also, no such information, documents or materials will be returned to you. All decisions relating to the content belong to the blogger.